Two riders going through Turn 1a at Loudon. What are Track Days All About? Track Days are the most exciting, fun and effective way to improve your riding skills…period! You will learn how to corner and brake with a lot more confidence and control. And you will have a freakin’ BLAST. Track Days are held on a closed course (racetrack), which means you learn in a safe environment and at real-world speeds. Learning on a racetrack allows you to ride freely and concentrate on and advancing your skill level without the typical hazards faced on the street…potholes, sand, tar snakes and Buicks. Many types of machines at our regular track day events. While most ride sport bikes, there are also those who ride Tourers, Adventure bikes, and Sport Tourers. There are even special “Non-Sportbike Days”. It’s one of the best investments in fun and skill development money can buy. You may want to listen to this short podcast where Tony and I discuss many track day FAQs. While parking lot courses have their place, riding your bike on a track will let you practice riding skills at real-world speeds – without the normal distractions found on public roads (like cars, sand, cops, etc). Classroom sessions are usually included in the price of your day where you will benefit from discussions and demonstrations of advanced riding technique that you can then try on the track. The fact that you visit each corner several times a day allows you to perfect your technique without the changing variables found on the street. These techniques are transferable to street riding. Who said anything about racing? Here’s the thing; A track day is NOT a race event. Many people respond to a suggestion of attending a track day by saying “but I don’t want to race”. Now, I understand that most people automatically think “racing” when they hear “racetrack”. This is why I spend a fair amount of energy on educating the potential new customer that a track day just might be worth considering, both for having a blast, but also for becoming a better rider (much better). If it’s not a race, then what is it? Imagine the perfect twisty road, but with no oncoming traffic, sand, gravel, guardrails or folks in big sedans trying to figure out their GPS while talking and texting on their phones and you start to get the idea of what a track day is. Oh, and did I mention no speed limits? So, riding on a racetrack is not only a safer place to ride, but you can also go as fast as you want without the risk of getting an expensive speeding ticket and insurance points. Not only are track days fun, they are also a great place to develop your skills. Most track days offer some instruction, with classroom time and perhaps a garage seminar on body positioning. You can also get some on-track coaching if you ask for it. Then you go practice what you’ve learned by circulating around the track. The beauty of riding on a racetrack is that you visit each corner multiple times a day so you can perfect each corner as the day goes on. You also get to explore the limits of your bike, the tires and your ability. Woot! Yes, we are talking about riding on a racetrack, but that doesn’t mean you have to have the latest rocket, or even that you have to go a whole lot faster than you do already on the street (in the novice groups). That’s the beauty of track days as opposed to a competitive racing environment; they have two completely different purposes. Both track days and racing allow you to go as fast as you dare, but track days allow you to go as fast as you want without the pressure to win a competition. When racing, you risk a lot more because your goal is to try and beat the next guy. So, what exactly is the point of doing a track day then? A Safer Place to Have Fun! With no surface hazards or roadside obstacles to hit and an ambulance just seconds away, the track is the safest place to ride, especially if you want to ride fast. A Safer Place to Learn! You will be able to concentrate on refining cornering and braking skills by riding the same corners over and over. Socialize! Commiserate and socialize with like-minded motorcyclists. Most new track day riders show up for their first day nervous and afraid, only to find a friendly group of fellow riders eager to help you learn the ropes. I am often about the benefits of track days for street riders. The bottom line is that a day or two spent at a training-oriented track day helps develop braking and cornering skills beyond what can be done in most other courses and certainly better than relying on experience alone. Learning to brake harder and lean deeper pays benefits when a car pulls out in front of you or a corner tightens more than expected. Riders who have never experienced floorboard-dragging lean angles usually panic, stand the bike up and run off the road, even though they had more ground clearance available. Those who have learned to lean deeply and to trust their tires are much more likely to remain in control and stay in their lane. On the track, a rider practices braking skills by waiting to brake deeper and deeper into corners. Not to go faster, but to see just how capable their bike is at slowing. Trailbraking is also practiced…an important skill to have for safe street riding. Finally, highly-developed physical skills allow more automatic responses to challenging situations, freeing more bandwidth to manage the hazards and variables of street riding. Be sure to check out the Non-Sportbike Street Rider Track Training Day page. Yes, you need to protect your body in the event of a crash, but that’s a good investment whether you ride on the track or the street. Most track day organizations allow street gear, so you should already have most of what you need. I am worried about crashing my bike. It can happen on the track, but it can also happen on the street (with more severe consequences). Track day crashes usually happen because the rider pushed too hard before they learned to manage the extra speed. Rarely do two riders come together to cause a multi-bike incident. And with no trees, mailboxes or oncoming vehicles to run into, serious injuries are also rare. I’ll be the slowest rider out there. So what if you are the slowest rider out there? You’ll get faster as the day goes on and will likely be passing people by the end of the day. I’m afraid I will be in the way of faster riders. This is a common concern. The answer is to ride your own ride and be predictable so faster riders can safely pass. This means learning the line and staying on it. Oh, and keep your eyes looking forward. It is the passing rider’s responsibility to pass…just like when skiing. I don’t have a way to get up to the track. Many organizations have a forum or Facebook page where you can ask for help getting your bike and yourself to the track. If it comes down to it, just ride your bike there. You are risking crashing the vehicle you planned on taking you home and you’ll be tired ride home, but many people do it. Bike prep is usually minimal and can be performed at the track. Here is a video I did showing what is required for Tony’s Track Days. NOTE: some of these requirements are no longer required. See the bike prep page on Tony’s Track Days site. I don’t ride a Sportbike. Again, so what? All types of bikes show up at track days…sport tourers, adventure bikes, standards, vintage bikes, even the occasional Gold Wing and cruiser. It’s too expensive. Why should I pay to ride someplace? It makes little financial sense to risk serious injury, a speeding ticket, and insurance points rather than pay to ride on the track. The cost of a track day varies from region to region and from track to track, but you can expect to pay anywhere from $150.00 to over $300.00 per day. This often includes some instruction. I’m not comfortable doing a track day yet. Maybe you’re just nervous. If so, then rest assured that you’re not alone. It’s smart to have some street miles under your belt, but if you’re comfortable riding around corners at brisk street speeds, then you’re probably ready to do a track day. Many organizations allow spectators to come check out what it’s all about. This is a great way to see if it might be right for you. And most organizations have two or three group levels so you are matched to others’ experience level. I hope this has shed some light on the mysteries behind track days. If you have questions, let me know and I’ll do my darnedest to help out. You should also check out the website of the track day organization you plan on joining. FYI, I work as the chief instructor for Tony’s Track Days. And check out other track day related posts and videos. You don’t need full leathers and a fast bike to ride at a track day. Classroom sessions are usually offered as part of your cost to ride. All types of bikes and riders can be seen at many track day events. On-track instruction is often available. Tony’s offers classroom sessions taught by trained instructors. The quality of the instruction varies from organization to organization. Follow the Leader sessions give you the lay of the land before you are allowed to go out on your own. Check out the other track day related posts and videos. Do I have to safety-wire all my bolts? Won’t that ruin the resale value of my bike, unless I buy a whole new set of bolts? Safety wiring bolts is not required for the organization I work with. However, other organizations may require you to drill certain bolts and secure them with wire. The most common bolts are the oil drain bolt, the filler cap, and the radiator cap, all which contain fluids. Tony’s Track days does require you to secure spin-on oil filters using a hose clamp that is either wired to something or positioned so the tightened clamp prevents the filter from spinning. All of the requirements for tech inspection are listed on the TTD website here http://www.tonystrackdays.com/category/99/bike-preparation.htm Also check out the video. You’ll see no drilling or wiring required. Other bolts that are good to wire are your brake caliper bolts. These are required when racing, but not often required for track day riders. Check with the organization you plan to ride with. Does drilling bolts reduce resale value? It depends. Selling a bike to someone who is planning to do track days will look at it as a positive. For a buyer looking for a babied machine, then drilled bolts will be a negative as it reveals the fact that it’s been on a racetrack. Personally, I wouldn’t let track day use deter me from buying, as long as the bike is otherwise well taken care of. Thanks for the excellent short article, I was searching for information like this, visiting visit the various other blog posts. I’m just inquiring when the next track day is? I live in Jimboomba Qld. I’ve finally decided to stop riding the roads around Mt Tambourine. The track day organization I work with runs track days in New England. Click on “track day” in the menu for all the details. Excellent article and introduction for those new to how it all works! No doubt, it is really a good article. But tell me what is the criteria for this. I have MTO licence and i am expert in riding. DO i need anything else. We always have those questions popping up, but I believe that especially track newbies are so excited and want to communicate. Hi Can. Great to have you on board! 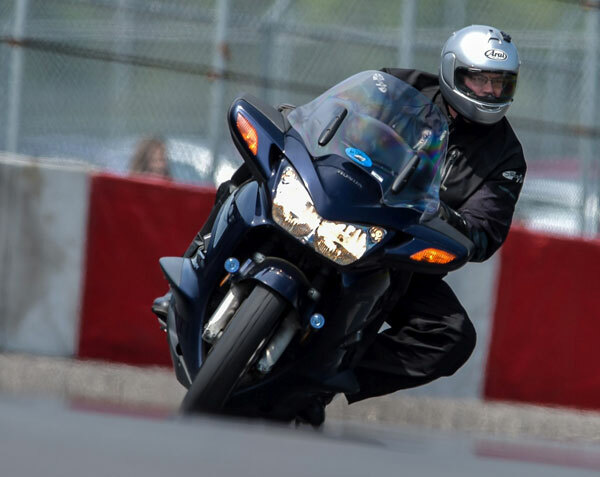 do you need a motorcycle license to do track days? mine expired but i still have my bike..
For most track day organizations, you don’t need to have a license or a bike that is registered for the street. Quite a few tracks or schools don’t train unlicensed riders or anyone with less than a few months after having their license. Experience as a rider is required. Having a license is not. 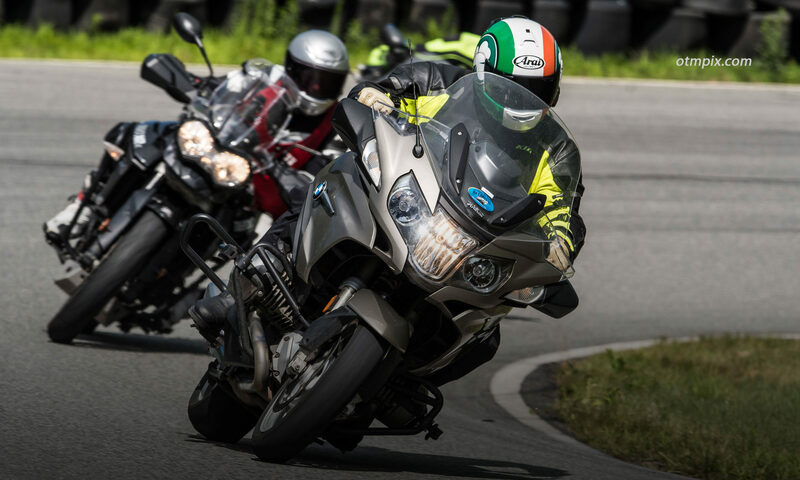 This article is spot-on (except for riding the track with street gear – the group I ride with ‘Team Promotion’ on the east coast, does require track gear, but you can rent everything from them for your track day. I just started riding track days last year. I was WAY out of my comfort zone making that decision to do it. Now, after three track events, I own my own leathers. I ride a 250 Ninja (no – nobody laughs at you – there are a lot of 250/300 sportbikes on the track). 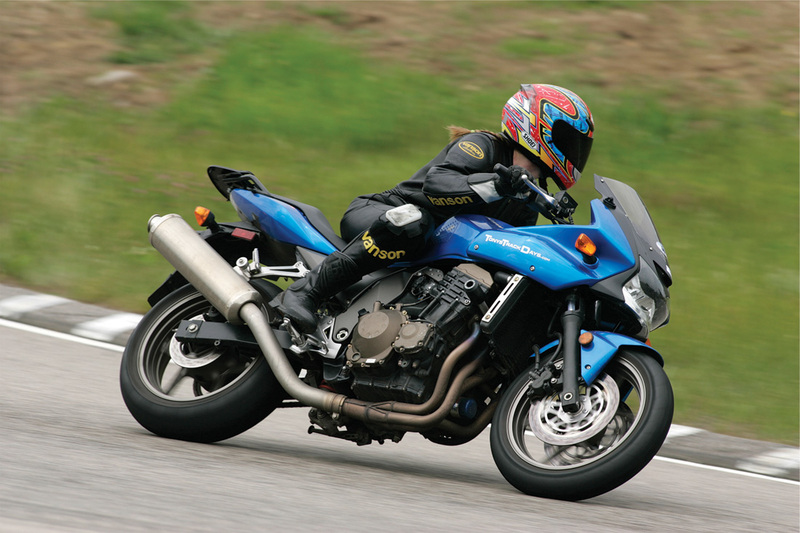 I also rode my 2011 Suzuki Vstrom 650 twice at track days. It was AWESOME. I’ve been riding for 12 years – I am an MSF Rider Coach and I swear – I never learned more in a shorter period of time than at the track schools. No pressure, you are not pushed beyond what you want to do (speed) and EVERYONE is so very nice & helpful. You will LOVE it. It’s not about speed or it’s not about racing? Tell that to various women or OEMs promoting women in racing by showcasing their “awesome skills” at a trackday ‘race’ and walk away with endorsements or other opportunities. So yeah the pressure is there for riders but these opportunities are only available for a select demographic thanks to the narrative (proven false) that woken are kept away from motorsport or that not enough women take up riding (which in turn some organizations give them free trackdays and rentals). Indeed, some track day organizations have begun to promote competition at their events. But, that is not the traditional description of a track day. Are there any tracks near Savannah, GA? Jennings GP in Jennings Florida is one option. But Roebling Road Raceway is very near you.